Hi ladies, without reading the amazing post from Louise, I would have never discovered this place - a garden high above the roofs of London. 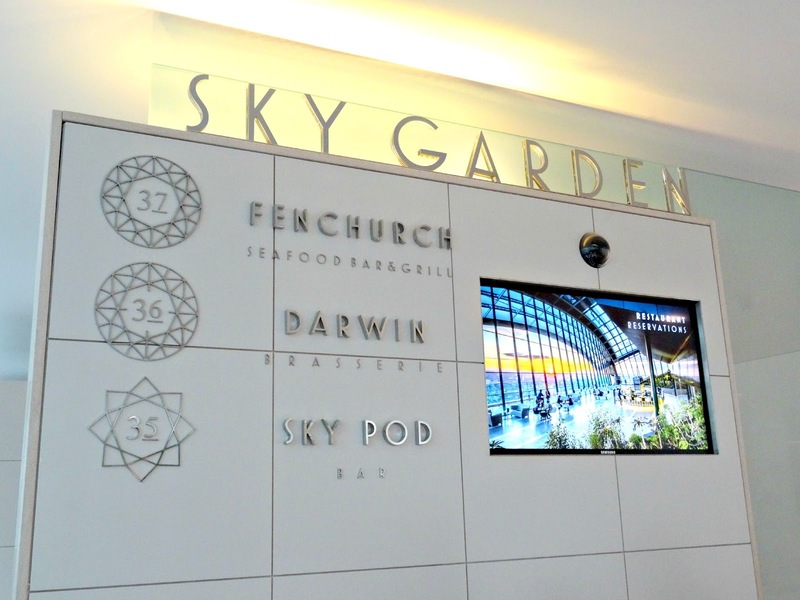 Sky Garden in Fenchurch Street is the new on trend address for chillaxed drinks in a stylish and exclusive environment. 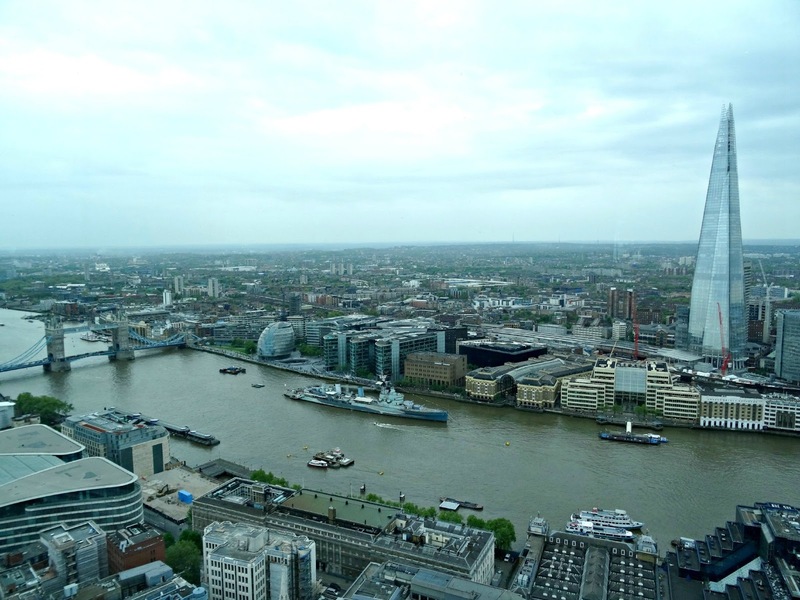 From the top floor of London’s Walkie Talkie, you’ll get breathtaking views. 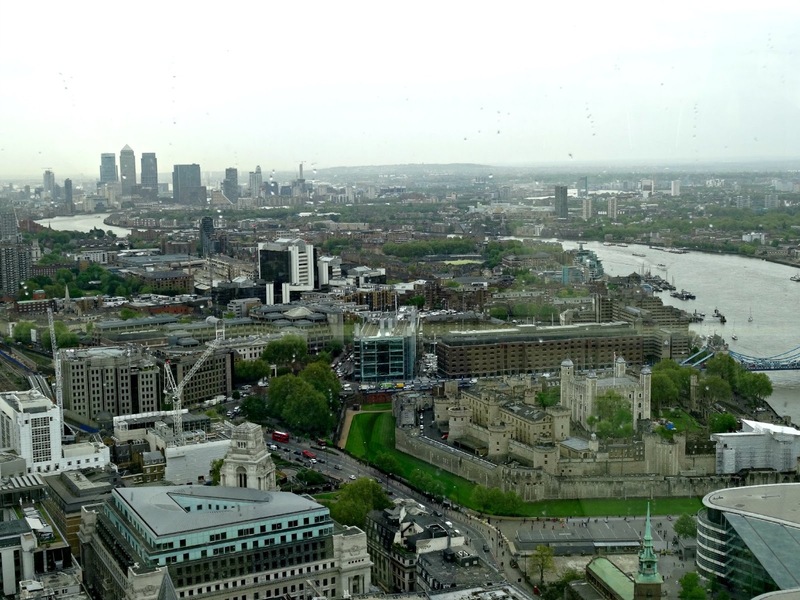 It’s a green zone overlooking the Thames, Tower and many more iconic landmarks. 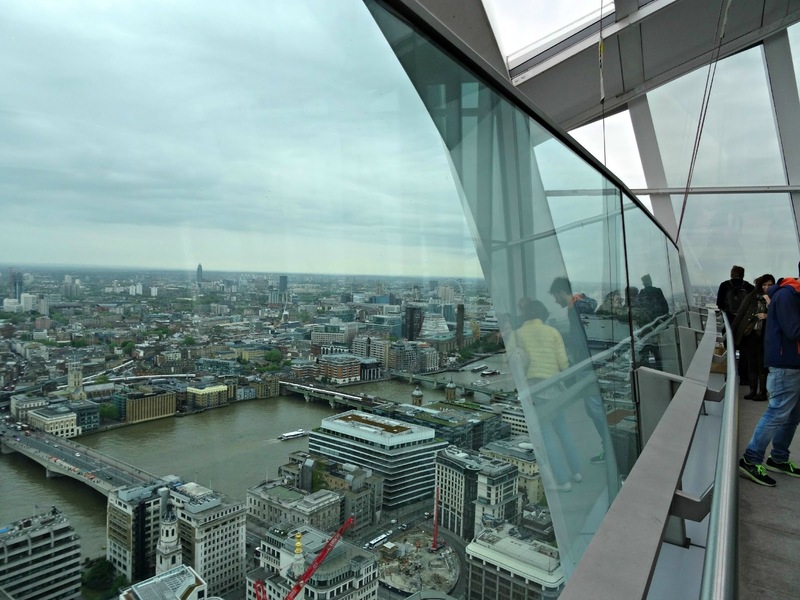 Given the fact that the Shard just on the opposite Bankside charges £30 to enjoy the view, Sky Garden is for free but you’ll need to book your tickets early on. The tickets are available two weeks in advance and I booked my visit for the first weekend in May. I invited friends to come along as you can register up to six visitors. 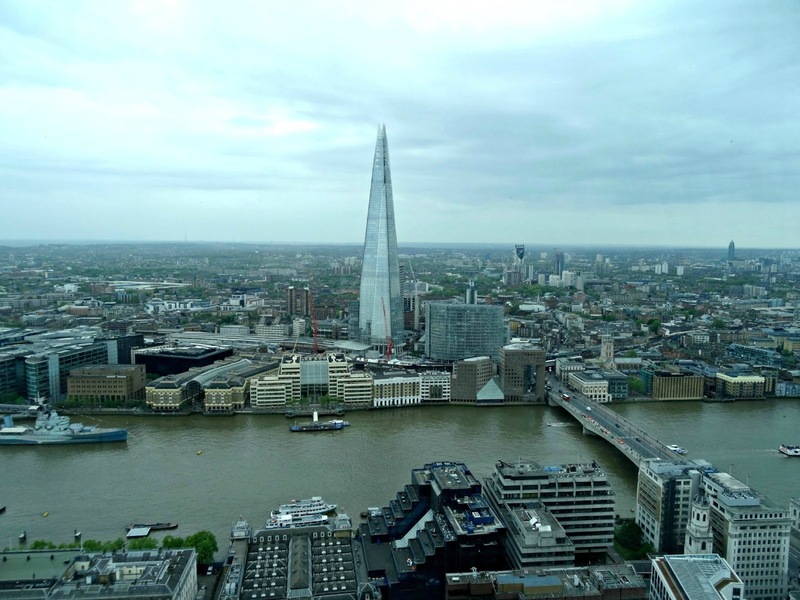 The easiest way to get to Fenchurch Street is to get off the tube at Monument. From there it is a 5-minute walk to the impressive business building. 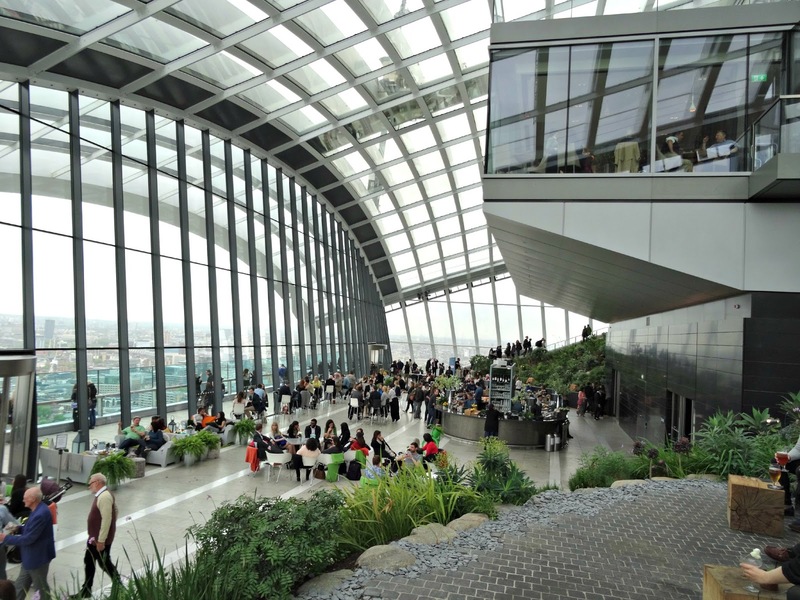 Sky Garden has a separate entry and an airport security procedure. The venue has a decent size but there’s not much you can do up there. 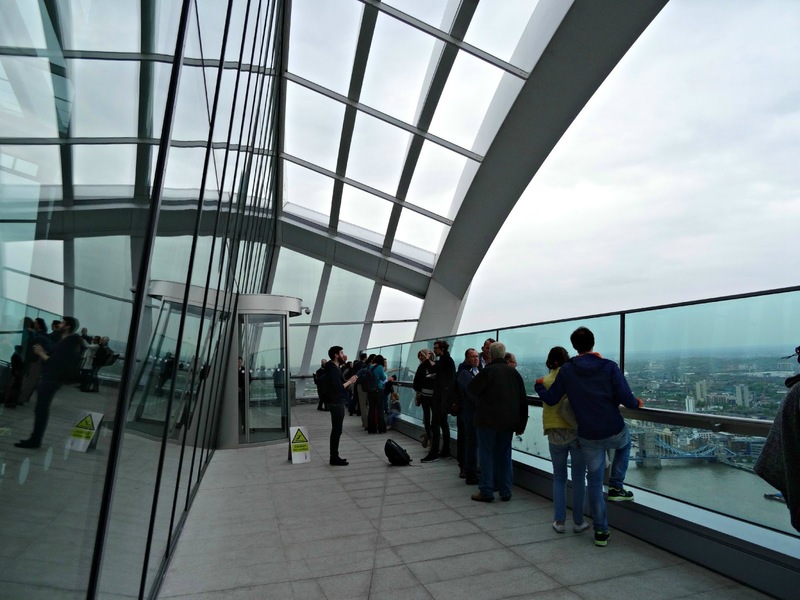 After the first 20 minutes of excitement have flattened down, all there is you can do is to go out to the viewing platform. 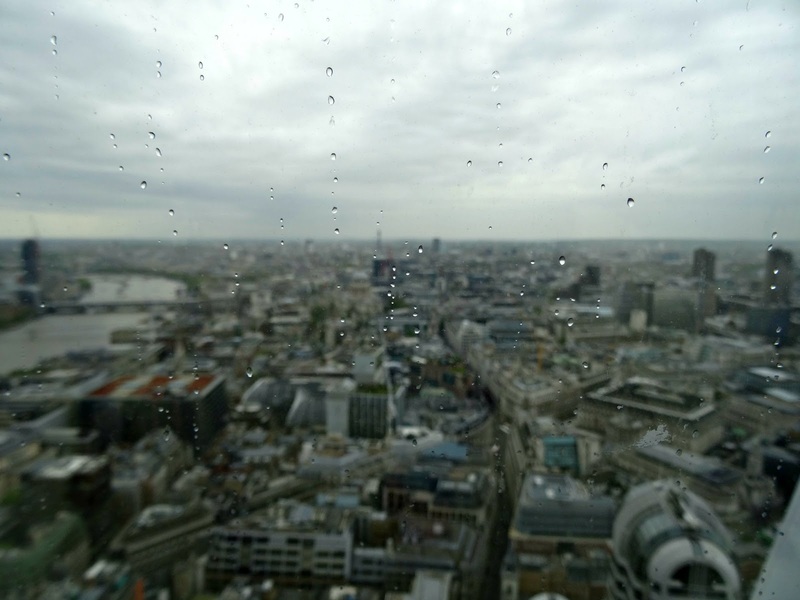 It is roofed so you can take pictures even on a rainy day. Back inside there are tropical plants on both sides of the venue which provide a fantastic environment to sit down with friends and have a catch-up. In the middle is a cafe with some overpriced cakes and drinks, but I guess this is where London’s High Society and wealthy business people meet on a daily basis. Seeing it from that perspective the prices for a 150ml apple juice and coke, both at around £4, were ok. There’s also a restaurant which we didn’t go to as it mainly serves fish and seafood dishes (which I can’t have for health reasons). My pictures can't do enough justice how wonderful the place is in reality. 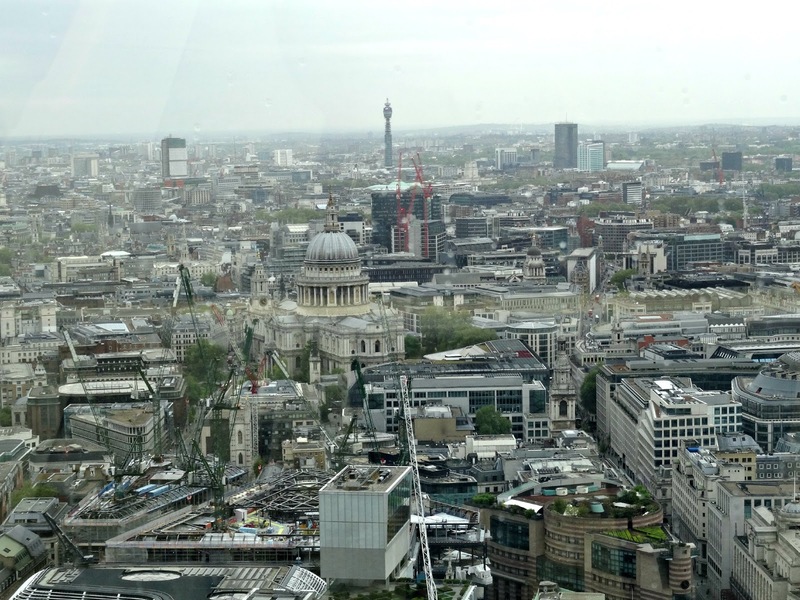 Sky Garden is definitely worth a visit as you can get a fantastic view over London for free plus it’s a very relaxed environment up there with lots of seats and cosy spots. Bloggers will definitely have fun exploring the space for ootd’s as the lightning is perfect. This is a very popular place and I wish I could live in London to go more often as it provides a great atmosphere in a stunning environment. Perfect to meet friends and have a relaxing time after work for now and again. Thank you so much for reading today's post. 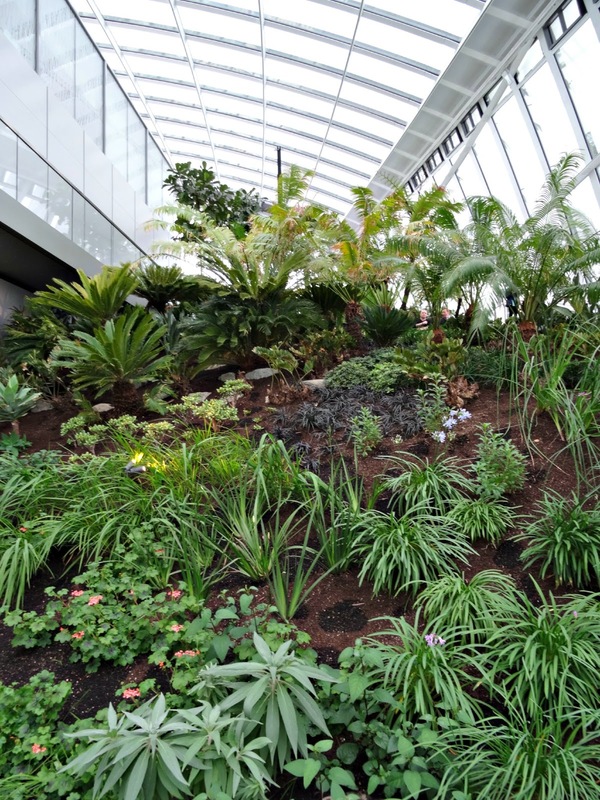 Have you visited Sky Garden yet? If you've been, did you go on a sunny day or even at night time? Film: The Last Unicorn Tour Is Coming To Germany.